GHGSat provides global emissions monitoring services, currently for greenhouse gases and ultimately also for air quality and other trace gases from a wide range of sources. Find out more about us. You give us the geographic coordinates of any site in the world, and we will task our platforms (satellite or aircraft) to measure gas concentrations at that site, within days of your request. We then use these and other data to deliver unique analysis of the site, such as emission rates, trends, and leak alerts. demonstration satellite Claire, over two years after her launch in June 2016. GHGSat detected emissions of methane, an important greenhouse gas, from an oil & gas facility in the Permian Basin. Claire captures an array of over 200,000 atmospheric measurements around an industrial facility in a few seconds. These measurements are processed to produce imagery showing a “heat map” of greenhouse gas concentrations from the facility. GHGSat satellites measure any site in the world, within days. GHGSat aircraft sensors are dispatched to high-value areas, on demand. 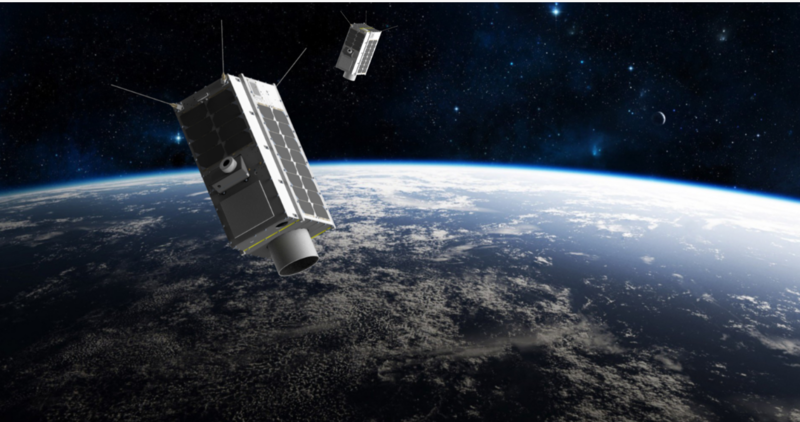 "GHGSat expects "an order-of-magnitude performance improvement" from its soon-to-be-launched satellite." New Satellites Pinpoint Greenhouse Emissions on Earth "Leaks constitute energy that could otherwise be sold. Therefore, if a company can pinpoint a large loss of energy, they can then repair it, or at least minimize the leakage and in turn make more money. Basic science really." Our Recruiting and HR Manager, Tania Flores, is attending the ERE Recruiting Conference #ERERC in beautiful San Diego, California. #GHGSat is growing our team and Tania is finetuning our recruitment and onboarding process for all our future candidates! Energy Excellence Awards: The Best In Cleantech Innovation And Research | Daily Oil Bulletin Congrats to the other finalists and we are looking forward to the awards on May 2nd! On behalf of the #GHGSat Team, we hope you can join us in celebrating our beautiful "pale blue dot" on the 49th annual #EarthDay! We wanted to wish our friends at the Space Flight Laboratory a big congratulations on achieving this major milestone!